Unflagged PET bristles prevent ends from matting together from grease and grime. This O-Cedar MaxiPlus Professional Angle broom is made to handle tough sweeping. The washable bristles that make up the 14” wide head are synthetic and long-lasting so they won’t ever wear down, break, or fall out like conventional corn bristles. These 7” long bristles are unflagged PET bristles which will prevent the ends from matting together if used on grease and grime. The handle is almost 49” long and is constructed of metal which will not crack, warp, or splinter. The handle incorporates a swivel hanging cap to allow you to keep your cleaning closet organized. This broom sells by the case of 4, so you can have always have one nearby when you are in need of sweeping. Be sure to pick up dust pans for your brooms like our MaxiPlus® Lobby Dust Pan. 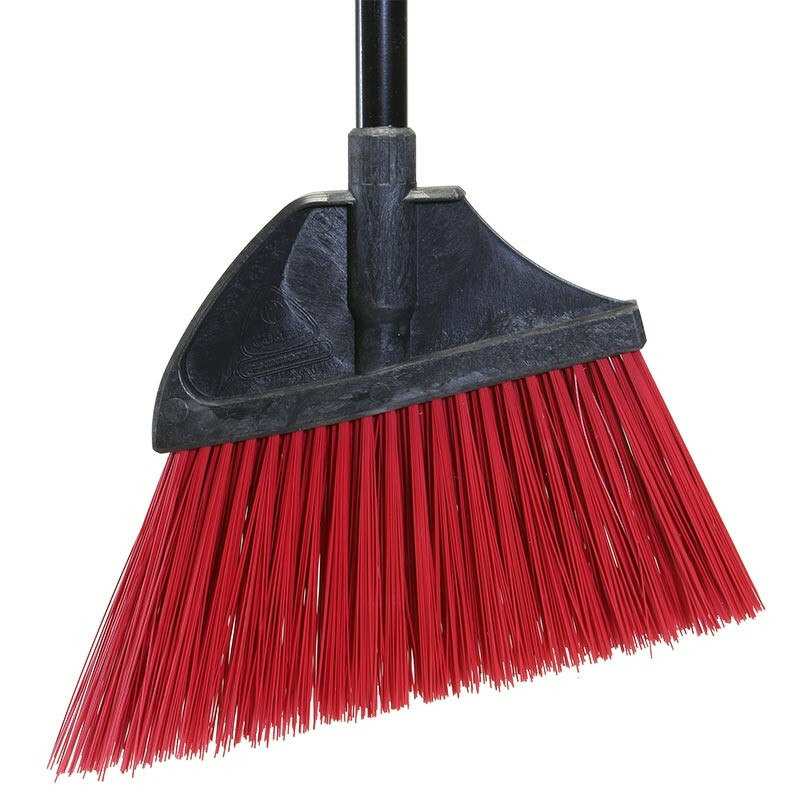 For other broom options, please view our full line of upright brooms. Customers who were interested in the MaxiPlus® Professional Angle Broom - Unflagged Bristles (Case of 4) were also interested in the following items. This is a review for the MaxiPlus® Professional Angle Broom - Unflagged Bristles (Case of 4).